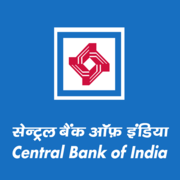 Central Bank of India Recruitment 2019 - Job notification for Faculty Post in Central Bank of India, Gwalior, Madhya Pradesh on Contract Basis. Applications are invited by Central Bank of India on or before 18 Apr 2019 05:00 PM for 1 vacancy. Central Bank of India Samajik Utthan Avam Prashikshan Sansthan, Jhansi Road, Gwalior (M.P)-474009. (i) Post-graduate viz. MSW/ MA in Rural Development/MA in Sociology/ Psychology/ BSc (Agri. )/ BA with B.Ed. etc. Shall have a flair for teaching with Computer knowledge. 2. Should be resident of the same State, preferably same or nearby district/ residing at the head quarter of RSETI centre. Eligible candidates may send their application in prescribed format (attached below) to Senior Regional Manager, Central Bank of India, Regional Office, 1st Floor, Naka chandravadni chauraha, Jhansi Road, Gwalior (M.P)-474009 on or before 18 Apr 2019 05:00 PM, along with copies of all relevant Documents & Certificates.